KBB.com Brand Image Awards. Only 55,219 Miles! Scores 19 Highway MPG and 14 City MPG! 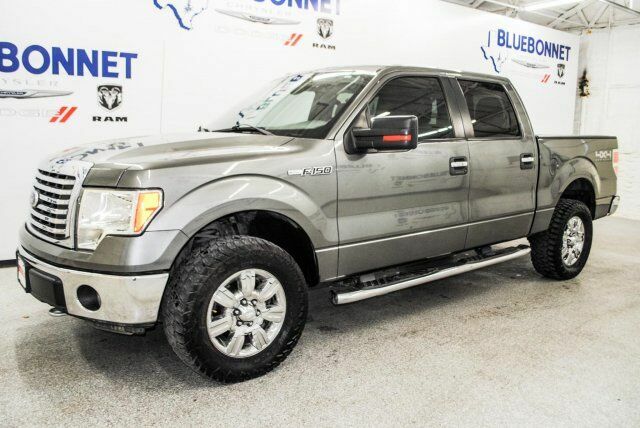 This Ford F-150 boasts a Gas/Ethanol V8 5.0L/302 engine powering this Automatic transmission. Trailer sway control, Tire pressure monitoring system, SOS post crash alert system. SecuriLock anti-theft ignition (PATS), Safety canopy front/rear outboard side curtain airbags, Removable tailgate w/key lock & lift assist, Remote keyless entry w/integrated key transmitter, illuminated entry & panic button, Rear pwr point, Rear door cupholders, Pwr rack & pinion steering, Pwr front/rear disc brakes, Pwr door locks w/autolock feature, Pwr 1st & 2nd row windows w/driver 1-touch down. Test drive this must-see, must-drive, must-own beauty today at Bluebonnet Certified, 3566 South IH 35, New Braunfels, TX 78132.